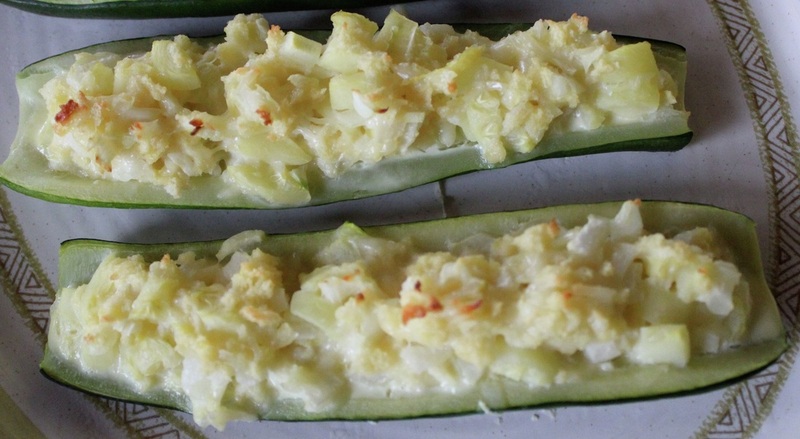 Zucchini stuffed with garlic, onion, and mozzarella cheese, this is a true crowd pleaser and a great recipe for garden fresh zucchini. Par boil zucchini cut side down in boiling water 10-15 minutes. When zucchini can be pierced with a fork, (but the outside is still a bit firm) place zucchini on paper towels to dry.